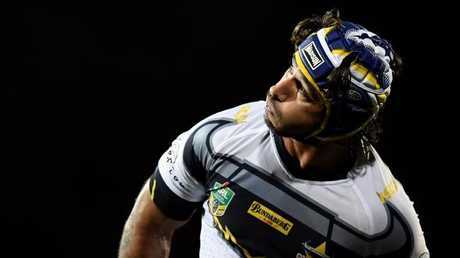 JOHNATHAN Thurston insists Cowboys players are not taking "short cuts" and says he has not given up hope of spearheading a charge to the finals in his farewell NRL campaign. 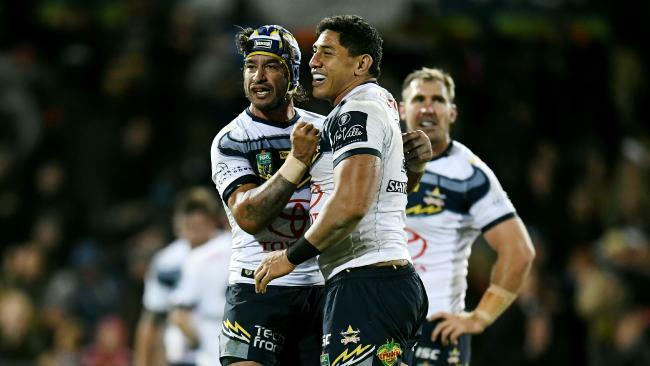 Lauded as the NRL's ultimate competitor, Thurston is confronting one of the toughest challenges of his glittering career - igniting the embattled North Queensland Cowboys - in Saturday night's clash with South Sydney in Townsville. The Cowboys were rated title favourites in the pre-season, but their premiership bid is in disarray with the team languishing in 14th place. No one at the club is hurting more than Thurston, who faces the ignominy of an NRL farewell in the round-25 regular-season game against the Titans on the Gold Coast. 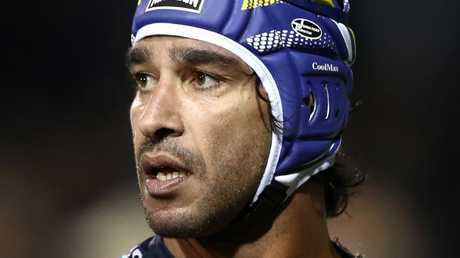 Could Thurston’s NRL career end without finals footy? The Cowboys would need to win an estimated 10 of their last 14 games to qualify for the play-offs, but Thurston blasted suggestions their fairytale grand-final charge last season had triggered a toxic complacency. "It's not like there's players in our group who are taking shortcuts or don't want to be here," the Cowboys maestro said. "It's a tough time but I also know we have a squad that is working extremely hard to win football matches and put ourselves in a position to play finals football. "With the leadership group we have here and the standards we drive, I have no qualms about how hard we are working towards getting some results. Things just haven’t worked out for the Cowboys so far this year. "I'm here at training and I can see the guys still have a spring in their step. We are training with intensity each day. "We'll continue to work as hard as we can and to hopefully get some rewards out of the season." The Rabbitohs signalled their title intentions with a 24-10 upset of ladder leaders the Dragons last week, but they have lost five of their past six clashes in Townsville - dating back nine years. Thurston, who will square off against Souths' former NSW halfback Adam Reynolds, accepts there is a real possibility he may not get a dream premiership send-off. "I understand all fairytales don't come true," he said. "We will have to wait and see how it ends, won't we? But I'm not writing us off yet. "We need to fight and scrap for everything. It's getting to a stage of the season where everything counts for us. "If we get lazy on one play (against Souths), we'll get hurt. "I have the belief in this team that we can turn our season around. It's only a matter of time before it starts clicking, but we are on high alert against a Bunnies team that is flying high." Thurston's scrum-base partner Michael Morgan dismissed suggestions a grand final hangover was responsible for their dismal start to 2018. "I don't think it's a hangover," he said. "Maybe we were subconsciously just expecting things to happen for us because 'JT' and Matt Scott were coming back from injury, but you can't have that mindset in this comp."